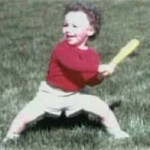 Grady Sizemore III was born on August 2, 1982, in Seattle, Washington to Donna and Grady Sizemore Jr. He has one younger brother, Corey and is of mixed heritage, his father being African-American while his mother is white. 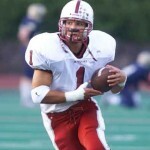 Sizemore graduated from Cascade High School in Everett, Washington, in 2000. A noted high school star in football, basketball, and baseball, Sizemore signed a letter of intent to play football and baseball at the University of Washington. At the time of his high school graduation, Sizemore was Cascade’s all-time leader in rushing yards with 3,081 yards and interceptions with 16. 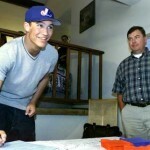 College was not to be, however, as the Expos selected Sizemore in the 3rd round of the 2000 draft. The team offered him a $2 million signing bonus to lure him away from college. 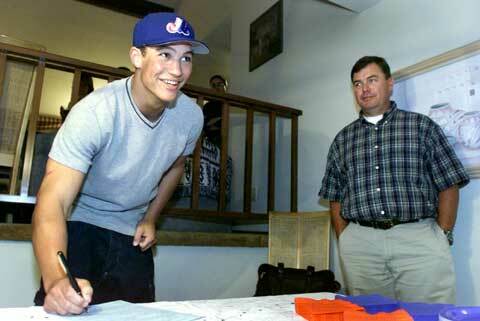 Sizemore signed and immediately began his rapid ascent toward the big leagues. While still playing at A level, Sizemore was acquired by the Cleveland Indians from the Montreal Expos in 2002 along with Brandon Phillips, Cliff Lee, and Lee Stevens in exchange for Bartolo Colón & Tim Drew. Sizemore spent 2002 and 2003 playing for Cleveland’s A and AA affiliates Kinston and Akron. In 2003 he helped lead the Akron Aeros to the AA Eastern League championship and also played in the All-Star Futures Game for the US team. He went 2-3 in that game including a 2-run HR. Sizemore was awarded the Larry Doby Throphy as he was named the MVP of the Futures Game. After spending most of 2004 playing for the Buffalo Bisons, AAA affiliate of the Cleveland Indians, Grady was finally called up to the Big Show in July of that year. He made his Major League debut for the Indians on July 21, 2004. He stayed up in the big leagues for about a month before being sent back down to AAA in August. He then helped the Bisons to the AAA International League championship. In 2005 Sizemore spent his first full season in the majors. He quickly established himself as one of baseball’s up and coming stars in center field. He was supposed to be in Triple A, but Juan González’s injury in the first game of the season secured his spot in the major leagues. He also joined Roberto Alomar as the only players in Cleveland Indians history to record 20 doubles, 10 triples, 20 HR and 20 SB in the same season. Sizemore’s best month in 2005 came in June when he hit .377 (40-106) with 4 HR and 16 RBI in 25 games. He finished the season batting .289 with 22 home runs, 81 RBI, and 22 SB. Before the start of the 2006 season, Sizemore signed a 6-year contract with the Indians worth $23.45 million with a club option for 2012. Sizemore’s contract is the largest ever for a player with less than 2 years service time in Major League Baseball. In 2006, Sizemore had perhaps his best major league season to date. He was selected to his first All-Star Game as a reserve outfielder. In the All-Star game he had two at bats and went 0-2. In addition to all of his offense, he also was a very fine center fielder making some spectacular plays in center, left-center, and right-center field. Overall in 2006 Sizemore batted .290 with 28 home runs and 78 RBI. He played in all 162 games the Indians played. He scored 134 runs, had 190 hits, 52 doubles, 11 triples and 22 steals. His OBP was .375, and his SLG was .533. In addition, he became one of only two players in MLB history to have at least 50 doubles, 10 triples, 25 home runs, and 20 stolen bases in a single season (2006). Sizemore opened the 2007 season on a roll, hitting 4 home runs in his first 6 games. He hit a three-run inside-the-park homerun April 27, 2007 against the Baltimore Orioles. The May 14, 2007 issue of Sports Illustrated magazine featured Sizemore on the cover. In the cover article, Indians’ general manager Mark Shapiro calls Sizemore “without a doubt one of the greatest players of our generation”. On July 1, 2007, he was named to his second All-Star team. He had one at bat in the 2007 game and went 0-1. In 2007, he had 25 home runs, and was 33-10 in stolen base attempts. He was one of only 6 batters in the AL to have at least 20 home runs and 20 stolen bases, along with Alex Rodriguez, Gary Sheffield, Ian Kinsler, B.J. Upton, and Curtis Granderson. On November 6, it was announced that Sizemore had earned his first Gold Glove, after he posted a .995 fielding percentage with only 2 errors the whole year and displaying his reputation for great range in center field and acrobatic catches. Sizemore’s streak of 382 games played in a row ended due to his sprained ankle on April 27 in a 1-0 loss to the Yankees. On July 2, Sizemore hit his twentieth home run and stole his twentieth base, marking his fourth straight 20/20 year. He was named to the American League All-Star Team for the third consecutive year, and participated in the 2008 Home Run Derby where he hit six home runs, but did not advance to the second round. Sizemore participated in the 2008 All-Star Game and he played 10 innings after the game went into extra innings, going 1-5 with 1 SB and 1 R. On August 25, Sizemore hit his 30th and 31st home run against the Detroit Tigers, becoming the 32nd member of the 30-30 club. He was the only AL hitter to hit at least 20 home runs and steal at least 20 bases each year during 2004-08. For his efforts in 2008, Sizemore was awarded his second consecutive Gold Glove (his .995 fielding percentage was second among AL center fielders). He was also awarded his first Silver Slugger Award. Sizemore committed to play in the 2009 World Baseball Classic, but pulled out after injuring his left groin early in spring training. On April 16, 2009, Sizemore hit the first grand slam home run at the new Yankee Stadium off of New York reliever Dámaso Marté. It was his third career grand slam. On September 9, 2009, after struggling through a subpar season compared to normal Sizemore standards, Grady elected to have surgery on his left elbow which had troubled him since spring training. Having the surgery performed one month before season’s end allowed for more healing time and preparation for the following year. Cleveland was already eliminated from playoff contention by the time of his decision. One week after the elbow surgery he also elected to have surgery on his lower abdomen to repair a hernia that was related to the groin injury which forced him from the World Baseball Classic, thus ending his 2009 season one month before the final game. After playing in 33 games, Sizemore’s season ended after microfracture surgery was performed on his left knee on June 4 in Vail, CO by Dr. Richard Steadman of the Steadman Clinic. With recovery time expected to be 6-9 months. The 2011 season began a few weeks late for Grady Sizemore. Still in the final recovery/rehab stages from his June 2010 microfracture surgery, Grady began this season on the 15-day Disabled List. But, after a set-back free rehab, he was able to be activated earlier than originally thought. Making his 2011 debut for the Tribe on Sunday, April 17th against the Baltmore Orioles in Cleveland. Beginning a 2-3 week stretch of an incredible amount of extra-base hits, Grady homered in his 2nd at-bat that day. His first HR since 2009. However, almost two months later on May 10 an injury to his right knee, sustained on a hard slide into 2nd base, would lead to a 2nd stint on the 15-day DL for 2011 for Sizemore. After a scary few days it was determined that the injury was not in the same vein as the 2010 injury to the left knee. Grady was activated less than 3-weeks later in late May. Leading into the 2011 All-Star Break, Grady had fallen into a mighty slump at the plate, leaving many fans and scribes to wonder how much the knee(s) was affecting the centerfielder. Then, on July 17th in Baltimore, while attempting to stretch a single into a double ,Sizemore reaggravated the injury to the right knee. What followed was yet another 2011 trip to the 15-day DL. Indians medical staff decided to give the right knee about a month of rest. It was at this time it was revealed to the fans and media that Grady had also jammed his right hip on that hard slide in May, causing a slight sports hernia (like the 2009 injury) on his right side this time. The original plan was for Grady to have surgery to repair this sports hernia in the 2011-2012 off-season. But, with recovery time from that surgery being 4-6 weeks, and the plan was to rest the right knee for around 4 weeks anyway, the team and Grady elected to have the surgery performed during this 3rd DL stint, on July 21st. Grady spent around 6 weeks recovering from this surgery and the latest knee injury, and after a short rehab assignment with AA Akron and AAA Columbus, was activated from the DL and back in the lineup for the Tribe on September 5th, 2011. In November of that year, the Indians declined his 2012 contract option. After meeting with both the Boston Red Sox and Seattle Mariners during the offseason, Sizemore re-signed with Cleveland, signing a one-year, $5 million contract. Sizemore underwent back surgery during Spring Training, and began the season on the 60-day disabled list. A series of setbacks in his recovery from back and knee surgeries prevented him from appearing in any games during the season. Sizemore had microfracture surgery on his right knee in September, after a previous arthroscopic procedure in 2011 was unsuccessful in healing his ailing knee. 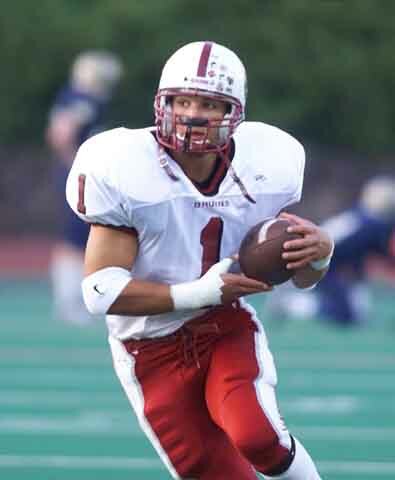 In late November was inducted into the 2nd class of the Cascade High School Athletic Hall of Fame. Grady remained a free agent through the 2013 MLB season. According to his agent, Joe Urbon, Sizemore did not want to commit to a team until he was ready to play again. On January 22, 2014, Grady Sizemore signed with the Boston Red Sox. The contract is for one year and $750,000 with incentives that could top his salary at $6 million. On March 28, Sizemore was named the team’s starting center fielder for the season opener after beating out Jackie Bradley, Jr. in spring training. On opening day against the Baltimore Orioles he hit a solo shot just over the right field scoreboard. He also hit a 3-run home run against former teammate CC Sabathia in the game versus the New York Yankees on April 11. Married long-time girlfriend Brittany Binger on May 12 on Red Sox off-day. On June 17, Sizemore was designated for assignment to make room for top prospect Garin Cecchini. The next day on June 18, the Red Sox officially released Sizemore. For his brief time in Boston, Sizemore made $1.25 million. On June 24, 2014, Sizemore signed a minor league deal with the Philadelphia Phillies. On July 11, Sizemore was recalled from Lehigh Valley in order to join the Phillies rotation of outfielders. On July 25, Sizemore collected his 1,000th career hit against the Arizona Diamondbacks. After a successful start, Phillies general manager Ruben Amaro, Jr. suggested Sizemore could be part of the Phillies longer-term plans if his success continued. He was signed to a one year contract for the 2015 season on October 23. On March 28, Sizemore was named the team’s starting center fielder for the season opener after beating out Jackie Bradley, Jr. in spring training. On opening day against the Baltimore Orioles he hit a solo shot just over the right field scoreboard. He also hit a 3-run home run against former teammate CC Sabathia in the game versus the New York Yankees on April 11. On June 17, Sizemore was designated for assignment to make room for top prospect Garin Cecchini. The next day on June 18, the Red Sox officially released Sizemore. For his brief time in Boston, Sizemore made $1.25 million. On June 24, 2014, Sizemore signed a minor league deal with the Philadelphia Phillies. On July 11, Sizemore was recalled from Lehigh Valley in order to join the Phillies rotation of outfielders. On July 25, Sizemore collected his 1,000th career hit against the Arizona Diamondbacks. After a successful start, Phillies general manager Ruben Amaro, Jr. suggested Sizemore could be part of the Phillies longer-term plans if his success continued. He was signed to a one year contract for the 2015 season on October 23. He collected 4 hits in one game against the Diamondbacks on May 16, 2015. Sizemore was designated for assignment by the Phillies on May 29, 2015. He was released on June 1, 2015. On June 15, 2015, Sizemore signed a minor league deal with the Tampa Bay Rays. Played 6 games with High-A Charlotte Stonecrabs before having his contract selected by the big club on June 28, 2015. Making his debut at DH for the Rays that day vs. Boston, Grady went 3-5 with an RBI and double.